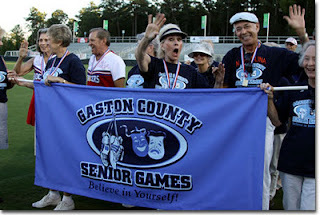 The Gaston/Lincoln County Senior Games will include pickleball this year and is open to NC residents age 55 years and older. Pickleball will be played at the Phillips Center at 2031 Echo Lane in Gastonia, NC. Pickleball practice will be on Wednesdays from 10am to 1pm at the Phillips Center and from 6:30p to 8:30 p at the Bessemer City Gym. Highland Lakes - trains new community..